Best friends, Ryan and Sarah, are trying to discover the mystery that surrounds the dredge in their town when Ryan gets injured one night. Now Sarah and Ryan are forbidden from seeing or talking to one another, but that does not stop them from trying to solve the mystery. I got this book for my birthday, so the copy I have is hardcover and it actually slides into a plastic case, the kind some DVD cases have. I love the packaging because it fits the book/video combo! The book itself looks like a journal, which is also fitting. The story is told through Ryan’s journal, in which he writes down all that has and is happening. 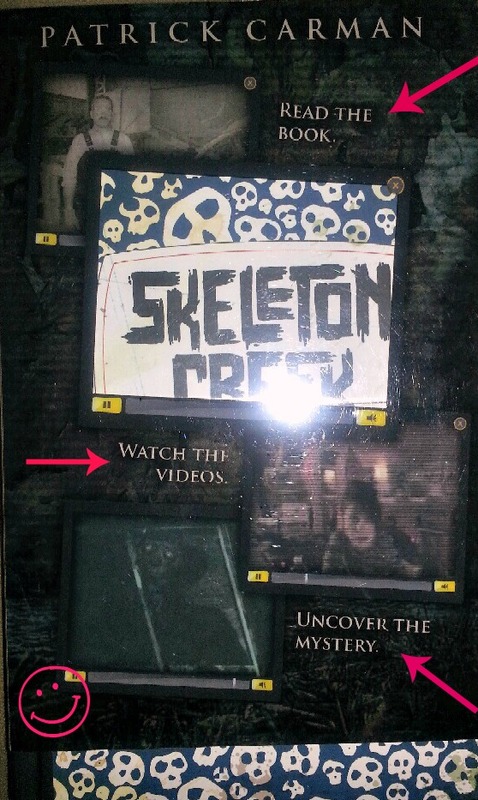 However, the story is also told through Sarah’s videos. The duel methods of storytelling are what make this story really interesting. Ryan and Sarah have found a way to bypass the parental controls their parents have placed on their computers, and are therefore able to exchange emails. Ryan pastes the emails he sends Sarah into the journal, and he includes the passwords to the videos Sarah uploads onto her website. The reader is told when to go to the website and watch the newest video Sarah has uploaded. Sarah’s videos are on a website which was made for the book, and to access the videos you need the passwords from the book. I love that an actual website was made for the videos, so the reader doesn’t have to worry about videos being taken down (that is often a problem with books referencing YouTube videos). Also the videos are well filmed, so I actually looked forward to the videos. The book actually ends on a video, and the video ends in a cliffhanger, so I’m going to have to continue the series if I want to know the end of this mystery/ghost story. A side note: while I love the duel nature of the book and video, I do worry about what happens when technology changes or this website is taken down. Some important parts of the plot (including the ending of this book) are told through the video, which means if the website no longer exists you won’t be able to give this book to someone to read. Hopefully that will not become an issue for a long time, if ever. Also I’m not sure if it was my smartphone, but I couldn’t get the website to load on it. While it’s not a big deal it would have been more convenient to watch the videos on my phone than having to pull out my computer. Overall I would recommend this book to anyone who likes a good ghost story, and a mixed media format.